For the curious and hyperactive minds who are energetic and fast learners. They will develop balance, focus, coordination, listening skills, discipline, respect through fun and holistic programmes of Taekwondonomics. Our Super Junior program is designed to match the developmental needs of three-to-five-year-olds. By making learning a fun, interesting adventure, the instructors help children build coordination, concentration, attention and balance. Learn basic Taekwondo techniques and games that improve their physical, mental and social abilities. These valuable life skills are some of the greatest gifts your child can receive at this young age. The program helps children grow in self-confidence and self-control. Children learn a healthy sense of self-worth and a healthy respect for other people. 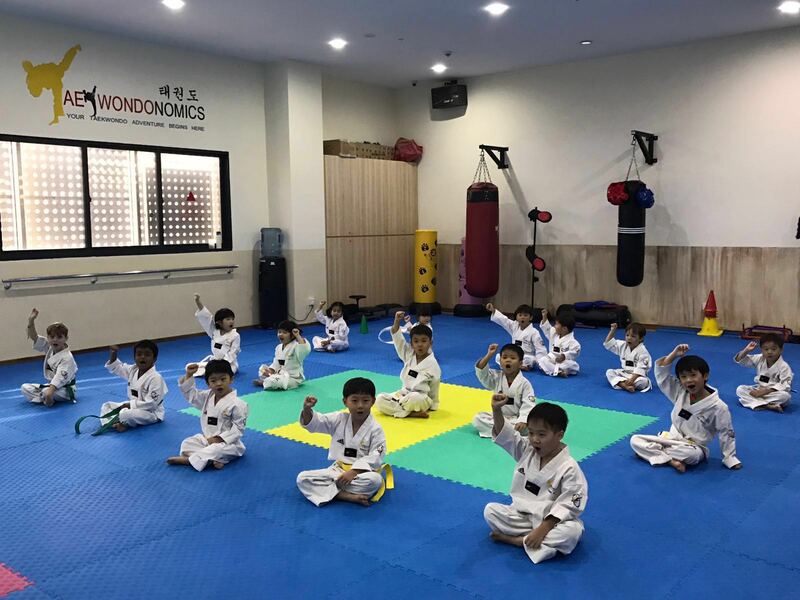 They learn cooperation and concentration while they are learning the basic Taekwondo patterns, hand strikes, and kicking techniques. Develop physically, mentally and socially with the right balance of support, fun, recognition and challenge to meet their individual character and developmental needs.